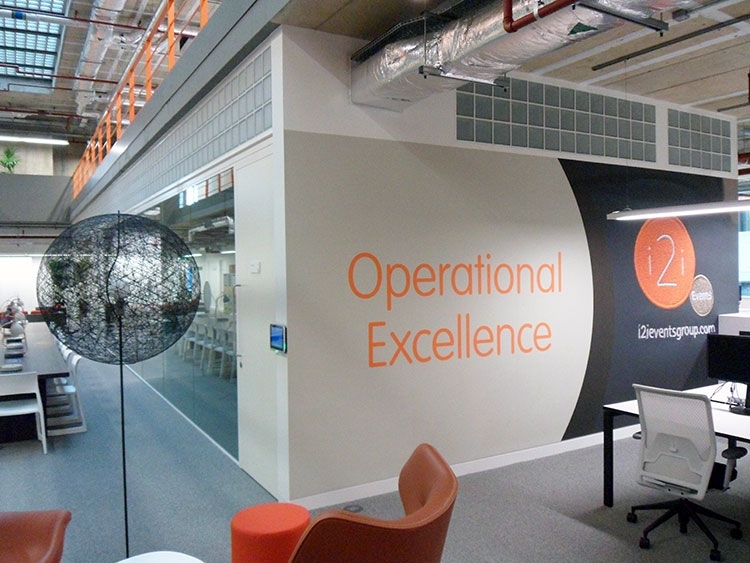 i2i, a large international events company, following significant growth, were moving to larger offices in Paddington. 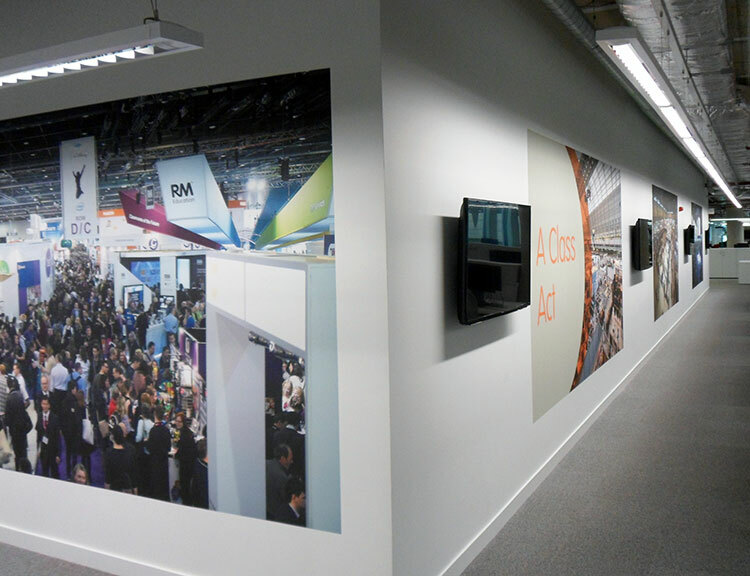 They wanted to decorate the offices to reflect their values and events. 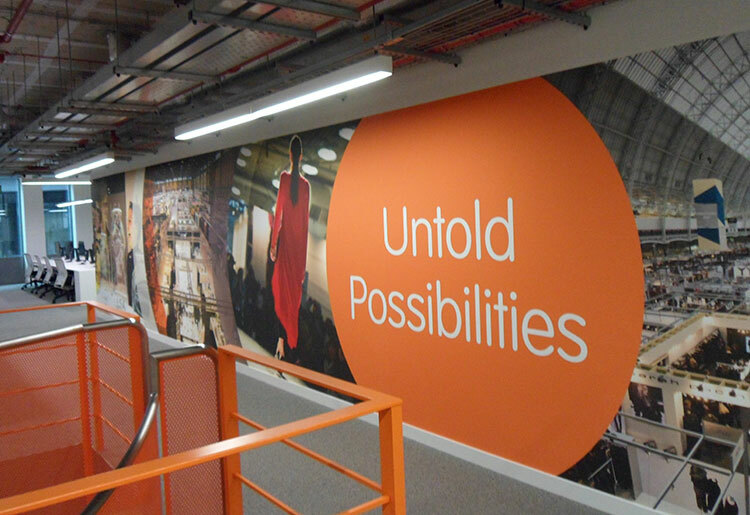 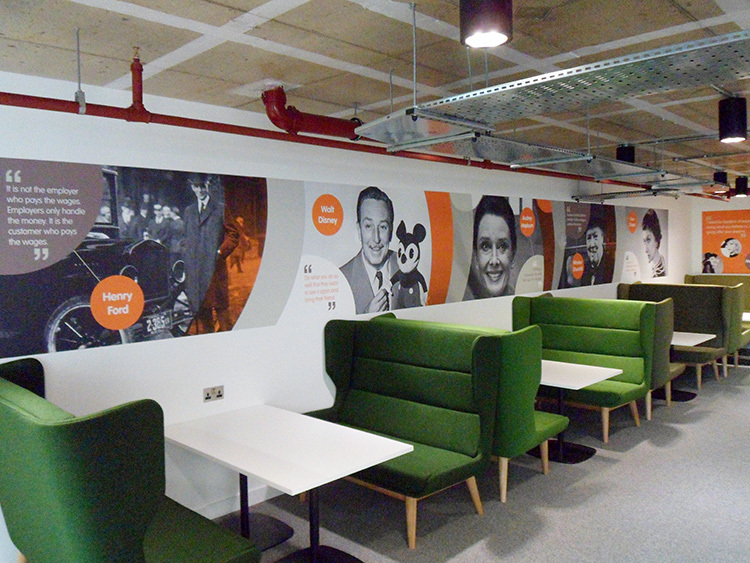 We were tasked with creating a theme, together with inspirational phrases and graphics to give the staff a bright, vibrant workspace. 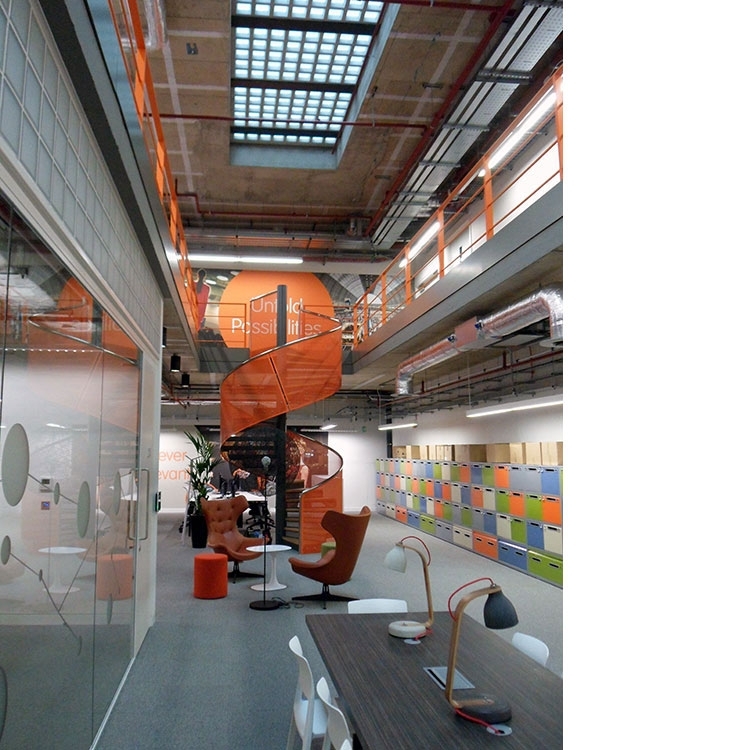 Together with the design, Progression also produced and installed all the materials.